Born in Brantford, ON, Neil co-penned his first poem titled Tobacco Harvest, with a cousin while still in primary school. He began writing songs and playing guitar while attending high school at Burford District High School in the 1950s, the dawning era of rock and roll. Neil was also a 1960 Western Ontario Secondary School Honor Athlete. 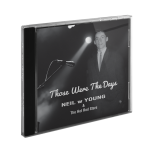 Neil’s passion for writing poems, short stories, and songs continued while attending Waterloo Lutheran University – Waterloo University College, what is now known as Wilfred Laurier University. In 1964, Neil’s graduating year, a student he’d been tutoring was taken with a poem Neil wrote titled The Last Night, and asked him to promise that, one day, he would write a novel. 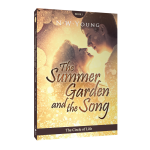 Fifty years later, The Summer Garden and the Song, fulfills that promise. 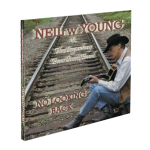 Neil released his debut CD album No Looking Back in August 2007, and feels his music has allowed him to become the true messenger of his spirit and soul. His love song, “There’s Just the One and Only You” became the love theme woven through the pages of his novel. 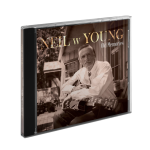 Neil was named on the cover of the July 1, 2007 CASHBOX Magazine as one of the “awesome indies gracing our Independent Charts every week.” In May of 2007, two songs from Neil’s debut CD reached #1 on the CASHBOX Country Chart. In January 2018, Neil was honoured to receive the IAIA (International Academy of Independent Artists) Golden Kayak Award for Best Miscellaneous Song – 2017 for his cover of “Hey Boba Lou” from his CD album Those Were The Days. 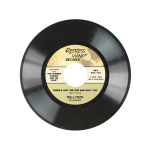 The song was originally written by Robbie Robertson and recorded by Ronnie Hawkins and The Hawks on the 1960 LP, Mr. Dynamo. It was Neil’s third Golden Kayak Award. 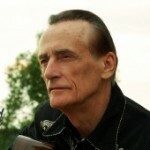 He won the second one in 2017 for Best Classic and Progressive Rock Song – 2016, “Fire On The Water”, from his third CD album, Old Memories, and the first one in 2008 for Best Country Song – 2007, “The Cowboy Song”, from his debut CD album No Looking Back. 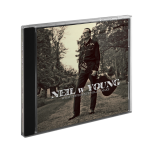 Neil was a nominee at the 2008 Hamilton Music Awards for New Country Recording of the Year for No Looking Back, and at the 2012 Hamilton Music Awards for Alt/Country Recording of the Year for his album What Difference Will It Make. Prior to embarking on his life-long dream of being a recording artist, and penning his long-postponed novel, Neil enjoyed a successful 35-year multi-faceted entrepreneurial business career in land development, investment and management, including the restoration of historical buildings, in addition to several other interesting endeavors he managed to squeeze into his spare time. 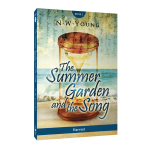 Further to Books 1 and 2 of The Summer Garden and the Song, both published in 2016, Neil continues his songwriting and recording activities as well as having made a start on the writing of Book 3 of The Summer Garden and the Song. 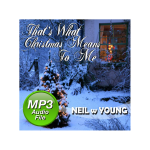 Neil and his wife, Jean, live in Paris, ON and have two married daughters, Suzanne and Andrea, and six grandchildren.